Swimming pools are the prime destination for outdoor family fun, but they can also pose unseen dangers for young children. Did you know, drowning is the leading cause of accidental death for children under age 5. According to the National Center for Disease Control and Prevention, the majority of these incidents happen in home swimming pools, and parents report the child was missing only a few minutes before they were found in the pool. These sobering statistics shed light on the need for parents take extra precautions to make sure their pool area is secured. They also show that adult supervision must be combined with additional layers of protection to be truly effective. Pool fencing is the best way to ensure that curious little ones can’t wander into the area unattended. In many states and countries, gates are required by law. As they should be. By installing a pool fence, parents gain peace of mind knowing the kids are free to play safely in the backyard. But which gate should you choose? There are many pool fencing options available, including traditional fencing materials like wood, iron, or mesh. Glass pool fencing is a recent innovation that’s gaining popularity for its elegant appearance and great safety benefits. 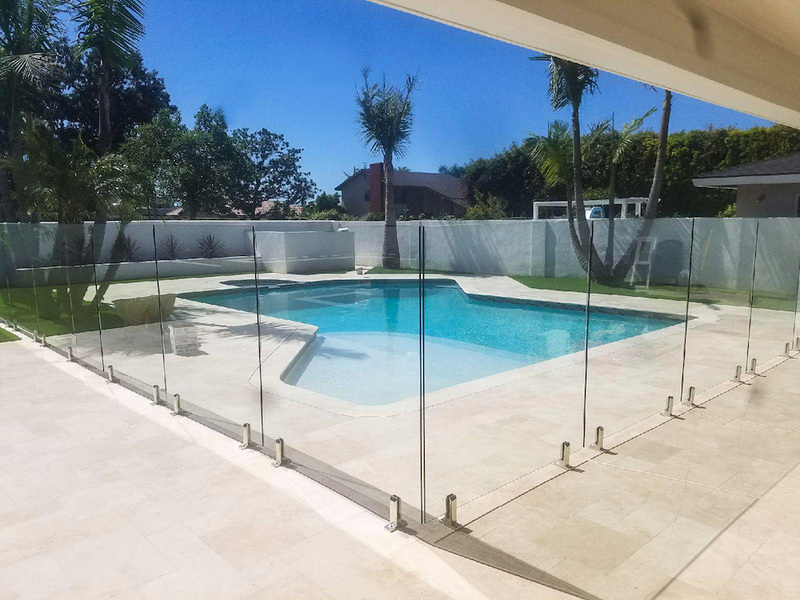 The glass pool fence trend combines the best of both worlds: security and style. The major advantage of glass is it allows clear views of your pool and landscape. 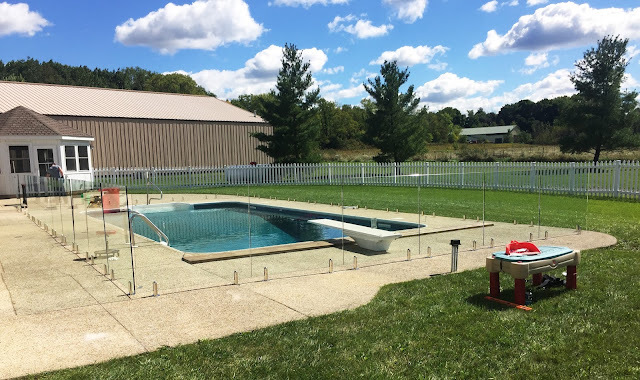 Though solid barred and mesh pool fences can be cost effective, they are not aesthetically pleasing and block your view of activities in and around the pool area. 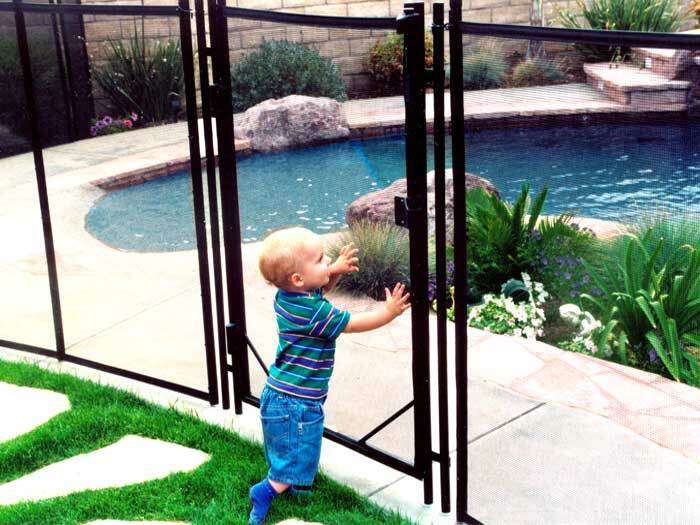 Glass pool fencing opens up your space and has a nearly invisible appearance so you can keep an eye on your little ones at all time. As a bonus, it has a modern, elegant look that makes your home look as if it belongs in a lifestyle magazine. A self-closing, self-latching gate is the most important part of any pool fence. Some companies also offer a keyed latch option to lock up the pool when it’s not in use. Durability is another key factor to consider when choosing a pool fence. Glass pool fences are built to stand strong over the years, with thick tempered safety glass and corrosion-resistant stainless steel hardware. The smooth panels come in heights of 4 to 5 feet, making it impossible for even the most adventurous child to climb over the fence. NOTE: Pool fencing works best when combined with other layers of protection such as swimming lessons, careful adult supervision, and CPR lessons for parents. Thankfully, drowning is preventable with a 360-degree safety plan. Installing a pool fence is the first step to ensure your children are protected. Pool ownership should be stress-free experience. With a pool safety fence, parents can spend less time worrying and more time enjoying their backyard oasis with their little ones.